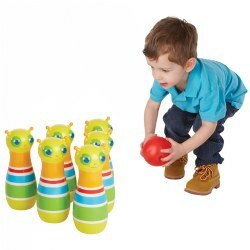 Kaplan's safe and engaging activity sets help young developers begin to move, crawl, and stand on their own. Our crawl-alongs, push-alongs, sensory balls, cars, climbers, and slides all encourage children to remain active and develop their full range of movement skills. In addition, Kaplan offers push trikes, rockers, wagons, and activity gyms for toddlers and preschoolers alike to develop their physical abilities, be it indoors or outdoors. 6 months & up. This simple climber with it's nature theme will encourage infants and toddlers to climb while developing their balance and strength. Measures 10"H x 36" diameter. 6 months - 2 years. 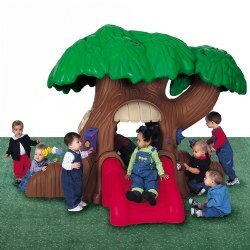 Children will enjoy crawling up and sliding down this nature colored soft vinyl climber. Measures 18"H x 45"W.
2 - 5 years. Teamwork keeps this flip-proof boat afloat. 2-4 children improve balance by rocking down the river. 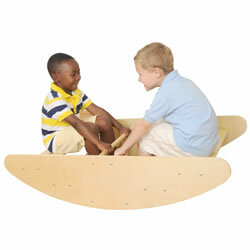 Turn the boat over, and they'll develop coordination by climbing steps, or just sit in it and read a good book. Baltic birch. Assembly required. 47"L X 24" W X 12" H. Wt. 28 lbs. 18 months & up. 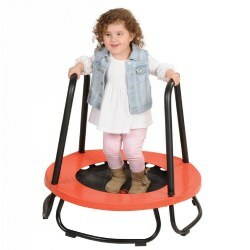 Low clearance and a rubber-covered metal frame make for a fun trampoline with a focus on safety! For children up to 50 pounds. 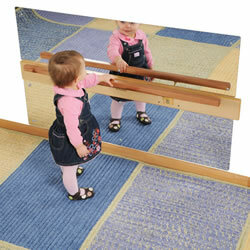 Infants and toddlers need spaces that are designed to encourage active learning. These planned spaces provide a place where materials are grouped together around a specific idea to encourage exploration and manipulation. The materials included in this kit will capture infants and toddlers interest and provide meaningful ways to practice their developing abilities. Note: Kit components change occasionally due to availability. We will substitute developmentally appropriate items for the purpose for which they were intended. 18 months - 4 years. 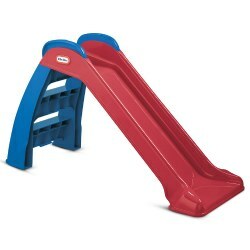 The Little Tikes children's slide is just the right size for little ones. This plastic slide promotes fitness, balance and coordination. It folds and unfolds in seconds, making it easy to store and no tools are required for assembly. The handrails snap into place and the steps are removable for compact storage and moving. Perfect for indoors or outside and must be placed on soft surface. 50 lb. weight limit. Children at play safety mannequin with an adorable puppy! Stands 32" and holds 39" tall red warning flag to caution motorists and sets boundaries for children. Fluorescent body and reflector strip belt is visible during twilight hours. "SLOW!" is printed on the decal for motorists to see. Easy to position and simple to assemble. 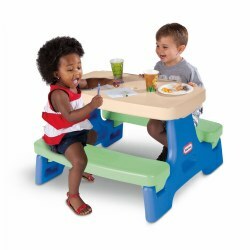 Broad base helps keep the Kid Alert standing on sand and prevent tipping (sand not included). 1 year & up. 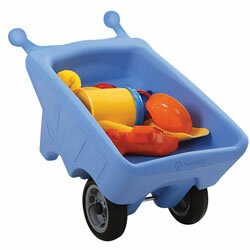 These smaller-sized wheelbarrows are ideally suited to toddlers. With 2 wheels for greater stability, rounded handles, and a one piece design that prevents trapped fingers, toddlers can transport toys and materials with confidence. 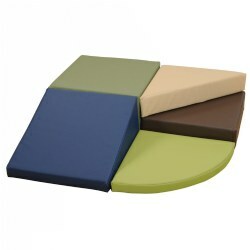 Made of 100% recyclable plastic; suitable for indoor and outdoor use. Stackable for convenient storage. 6 months & up. 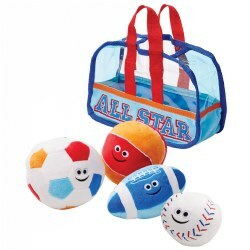 This toddler sized sports bag comes packed with a plush soccer ball, baseball, football, and basketball. 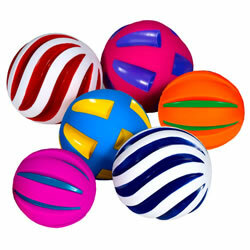 Each of the four balls rattle, jingle, or crinkle. 2 years & up. 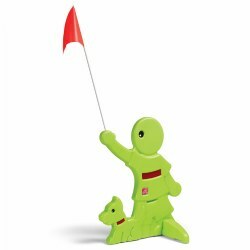 Encourage hand-eye coordination and dexterity, while promoting early counting skills with these six 8" tall, multi-colored Giddy Buggy Pins. Can be used both indoors and outdoors. 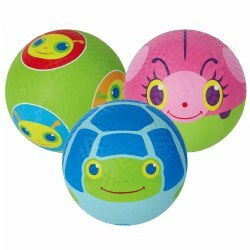 Set them up, roll the included ball, and knock them down. 18 months - 5 years. A roomy pickup truck that includes a flatbed with drop-down tailgate, rugged wheels, opening gas cap, and steering wheel with working horn. Assembly required. Made in the USA. Birth & up. 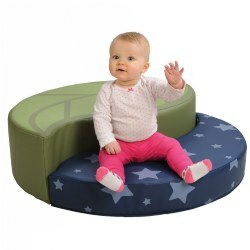 Build reaching and looking practice for infants with this tummy time pillow that easily stacks into a hugging, C-shaped seat with waist belt that supports beginning sitters during seated play. 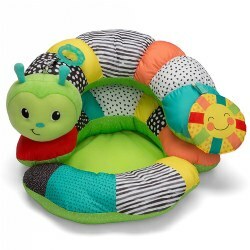 Children will love doing tummy time activities with this colorful Tummy Time Prop-A-Pillar! Colors may vary. 9 - 36 months. 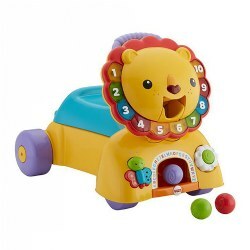 The Stride and Ride Lion encourages children during all three developmental milestones, sit and play, push and walk, and scoot and ride with hands on activities and fun phrases and songs that encourage them to keep going. 18 months & up. 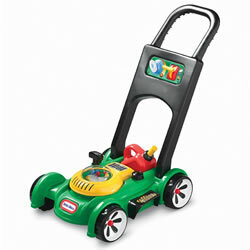 A lawn mower that looks like the real thing! 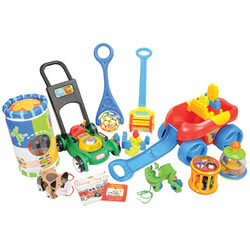 Includes a removable gas can, electronic and mechanical sounds, and pop beads for cause and effect learning. 18 months & up. 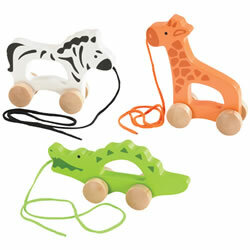 These familiar critters will entice toddlers to stretch the limits of of their newfound mobility! 12 months & up. 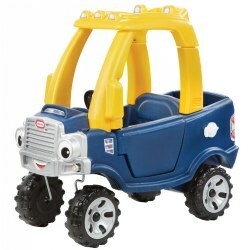 Sturdy designs with easy grip handles and strings for pulling provide children with endless opportunities for push and pull fun. Includes a giraffe, crocodile, and zebra. Birth & up. 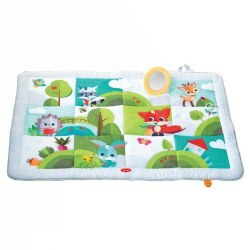 This 31" x 23" owl baby mat features luxuriously soft yet durable fabric, folds for easy travel and storage, and is machine washable. 6 months & up. 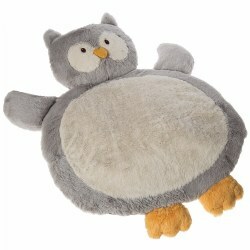 Here's a cool wacky giggling toy! 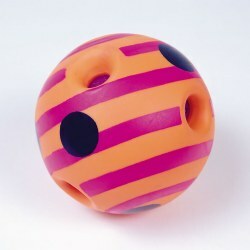 The Mini Wiggly Giggly is a crazy little ball that wiggles and giggles and squeaks whenever you move it around. 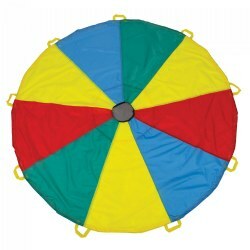 Provides great gross-motor skill exercise for little kids, and all-around fun for everyone else! No batteries required. Good for all ages. Patterns and colors will vary. Diameter is 4 1/2".